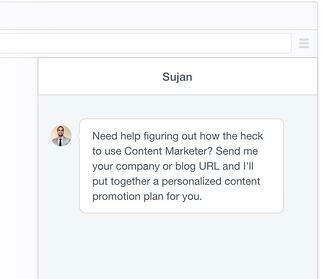 Sujan Patel is a Growth Marketer and the Founder and CEO of ContentMarketer.io and Right Inbox. He has active columns on Forbes, WSJ, Entrepreneur and Inc.
Sujan Patel has seen the challenge of onboarding new users across dozens of companies he has worked at and served, and he’s been laser focused on improving user onboarding for his latest venture, ContentMarketer. Sujan’s approach to improve ContentMarketer’s user onboarding experience was to collect as much qualitative feedback as possible and apply that to a series of experiments. From the very first sign up until now, Sujan and his team have evolved their onboarding strategy over the last 9 months through a series of growth experiments, each including customer conversations, the measuring of success and iteration based on those learnings. One third of the people he talked to knew very little about the brand or product and were not very motivated to use it. They require a lot of education on how to use it. Another third knew the brand through Sujan, but knew little about the product’s functionality and what it will do for them. The last group was highly motivated to solve for content, but didn’t know what to expect from the product or how to use it. Sujan knew he had to onboard each set of these users. And although he didn’t know exactly how to onboard each uniquely, he saw a common need for product education. So that’s where Sujan started his experimentation process. 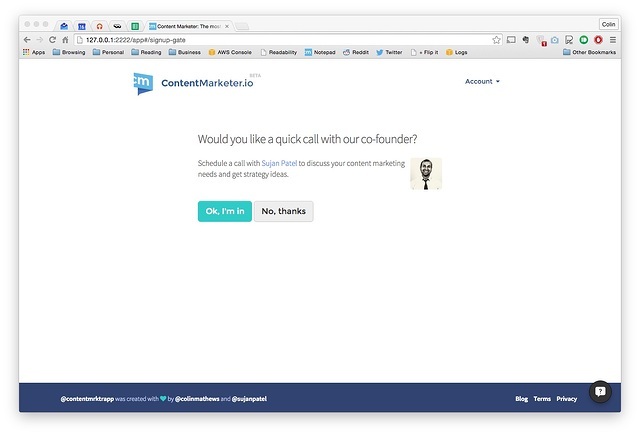 To educate new users on ContentMarketer, Sujan built what he refers to as a “quick and dirty MVP.” Without bogging down his developers, Sujan created how-to guides for common workflows on the ContentMarketer blog and sent links to new users in emails. Sujan hypothesis that the guides would help new users better adopt the product proved true. User engagement—measured by weekly active users—increased by 15% after implementing the guides. 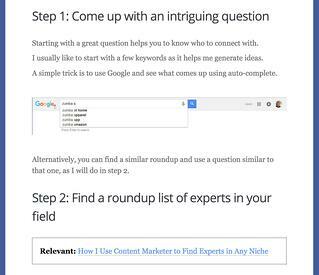 The guides were an improvement for new users who were previously dropped into the ContentMarketer dashboard without help or context on how to use the tool. Strangely enough, although user engagement increased, ContentMarketers’ trial-to-paid conversion did not. So back to the drawing board went Sujan to build on this initial success. Sujan decided to try getting on the phone with sign-ups to give them what is commonly referred to as a manual user onboarding experience. To promote his initiative, new users were offered a chat with Sujan via an in-app modal. About 55% of the people Sujan talked to converted to paid. A big win for ContentMarketer’s bottom line. Sujan then figured if he can talk to more people—only about 15% were opting into the conversation—he’d be able to further improve his trial to paid customer conversion rate. *Note the numbers in this and the following experiment are not perfect. They are a close approximation to the actuals. Riding the success of the high-touch onboarding experiment, Sujan figured he’d try and get more people to engage him in conversation. 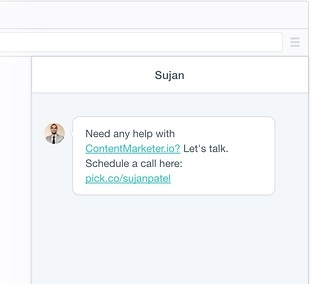 Using Intercom, Sujan launched aggressive live chat messages that constantly prodded new users. The adjustment gave the opportunity for new users who didn’t chat with Sujan to later engage. Sujan’s aggressive live chat prompts produced an approximately 30% lift in total conversions. They helped move from converting ~3% of trial users to paid customers to ~4.5%. The problem with the Intercom messages, however, was that they soon outstretched Sujan’s bandwidth. He couldn’t field the constant conversations and still have time for more strategic initiatives. Sujan needed a way to continue collecting insights in a more scalable manner. Now that Sujan had a good idea of what questions yielded the most interesting insights, he moved off of Intercom and had his team develop an onboarding experience that collected user insights. The experience asked new users to describe themselves, their goals and their best performing content. The conversion rate held similar to that with Intercom but it yielded some interesting insights that helped shape all future onboarding experiments. About 50% of people couldn’t figure out how to use the product. They tried, then gave up and didn’t come back again. The other 50% had unrealistic expectations for what the product could do. They wanted a silver bullet for the content strategy that simply doesn’t exist. What this meant to Sujan was that a portion of their sign-ups—those with unrealistic product expectations—were never going to convert from free trials. In order to eliminate the burden of supporting so many unqualified leads, Sujan required a credit card at the start of their 14 day trial period. This reduced leads from 300-350 a month to 75-100, but it nearly doubled the number of paid customers they were bringing on every month. Where they were previously converting 13-15, they increased to 20-25 customers. Sujan no longer had to put up with the headaches and overhead it required to support an extraneous 250 signups every month. Instead, he was able to focus his time and attention on supporting the more serious and motivated 100 new signups. Sujan’s latest test is one he’s sure of. He eliminated the free trial period for new users entirely. ContentMarketer now requires an upfront payment of $50 to access the app. Like when he started requiring credit cards for trials, this experiment raised the thresholdfor qualified, educated and motivated users and resulted in a reduction of tire kickers. 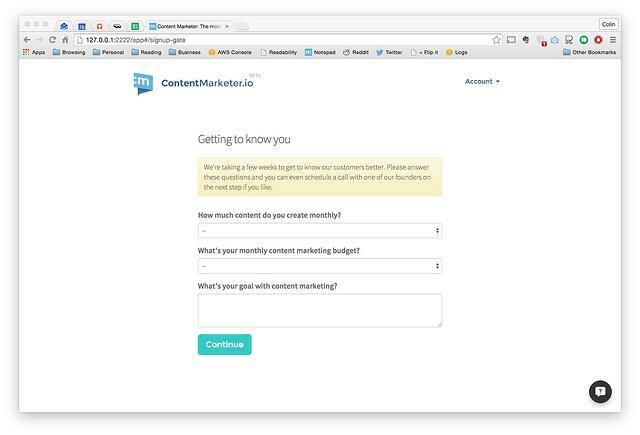 ContentMarketer is now seeing 30-35 new customers every month, which is an all-time high—an increase from 20-25 previously and a huge improvement from where they were 9 months ago when Sujan started experimented. Sujan minimized developer involvement with his growth experiments. By using third-party tools, he was able to keep them from coding onboarding experiences that were destined to fail. By collecting qualitative data throughout his process, Sujan was able to establish personas and improve onboarding to suit each. Sujan approached user onboarding as a process, not a one-off fix. By constantly iterating, he found something that works for him and his team...at least for now.